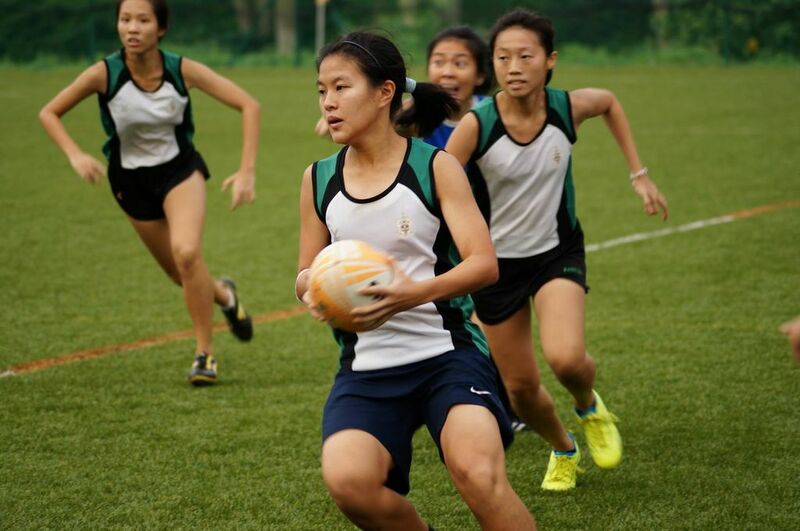 While most of us were eagerly awaiting the weekend, the Touch Rugby girls were eagerly awaiting their final match against Nanyang Junior College. It was a late afternoon and fortunately the sky was clear and the sun was bright. The final matches took off with great weather. Touch rugby is usually played with 6 members from each team trying to touch down and score as many tries as possible. However, there is a twist: defending players prevent the attacking team from gaining a territorial advantage by touching the ball carrier. 6 touches are all one has. Once 6 touches have been made or the ball is dropped, possession changes. The opponent team gets the ball and the game carries on. A typical game lasts for 20 minutes. Though it might sound simple, it is a tough and tiring game, requiring stamina and mental strength. “Unfortunate injuries and the team performing below standard, as well as bad refereeing decisions, cost us the game (against Nanyang last week),” said Vice-Captain Louisa Ng. 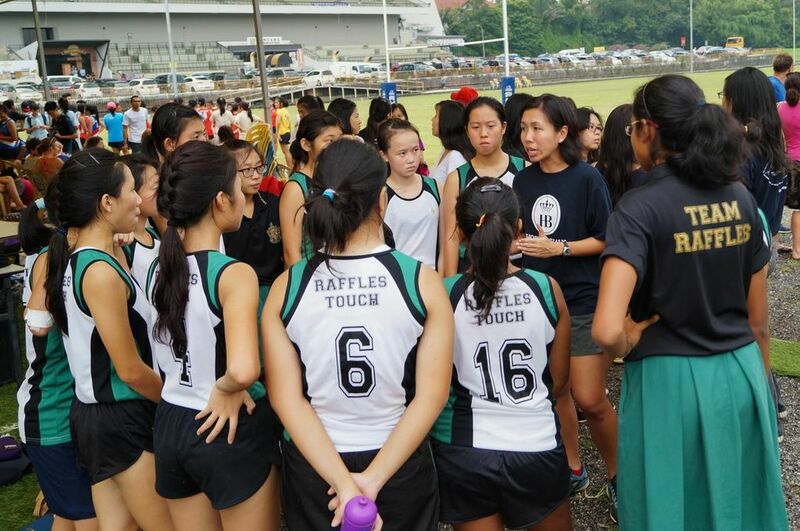 Having lost to Nanyang JC just last week, Raffles Touch was all set to fight strong and gain back what they lost. The action started at the sound of the whistle. There was only one goal in mind for both teams: to secure a 5th placing and to end the season on a high note. The level of competence was equal on both sides. The possession of the ball kept switching from team to team. Team members were running from point to point making sure that the whole pitch was covered at all times. The level of spirits was high as both sides were giving a good fight! It was at about the 6th minute mark that bought the Raffles side to squeals and jumps. Having the possession of the ball in hand, Maegan Wang made a mad dash to the end of the field, dodging and outrunning her opponents along the way. She secured the first try for Team Raffles. The score was now 1-0. Throughout the match, there were many swaps within the players. This way, all the players had a go at contributing to their team’s win. The constant calls from their coach and teammates also boosted their spirits and allowed for more alert play. 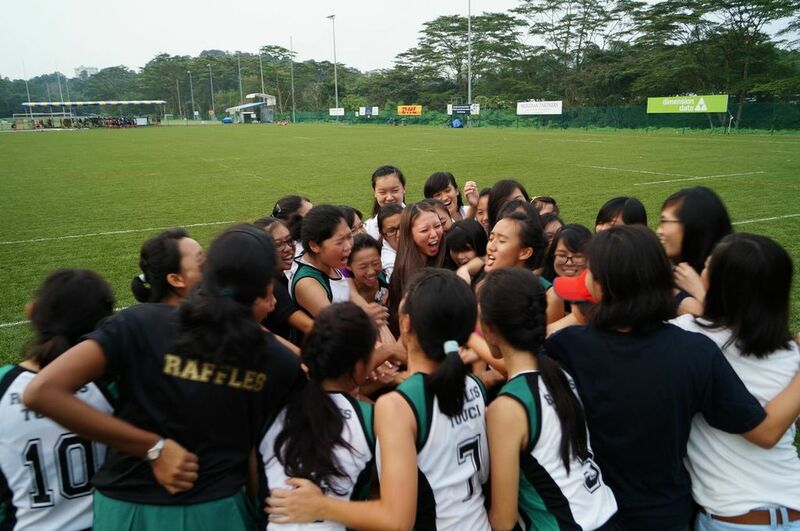 Not getting complacent from the lead they had over NYJC, Raffles Touch fought hard and strong. NYJC had multiple chances at scoring but Raffles maintained a strong defence. At about the 15th minute, Louisa dived in to score another try. Just seconds later, the whistle was blown. The score was 2-0. 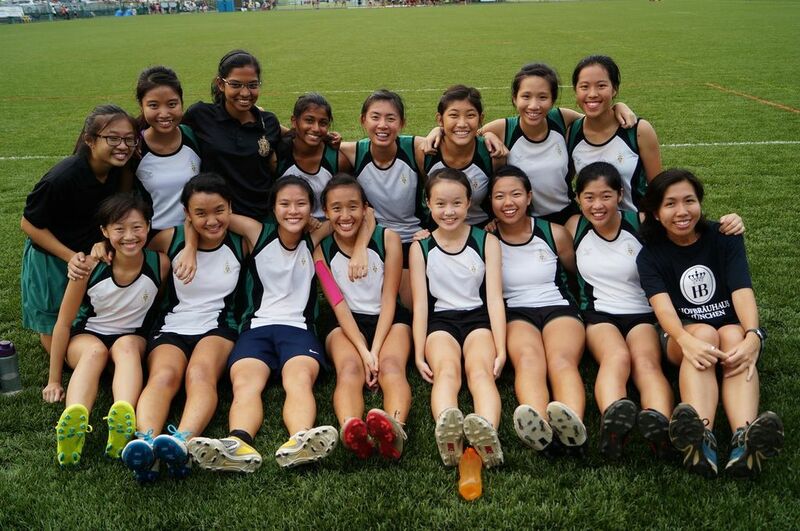 Raffles Touch Rugby had overcome Nanyang JC to retain the 5th place for the third year running! Captain Lee Chin’s felt that this season was “one of the best memories to be had in JC”. “Every single player grew a lot, individually and as a team. I believe that every one of us really tried our best,” she said. “I would definitely like to thank our coach, as she not only trained us, but also gives us so much support,” Lee Chin said. She added that teachers-in-charge Ms Lee Mei Yin and Ms Ma Jialin were “always there to help us”, in addition to their seniors.